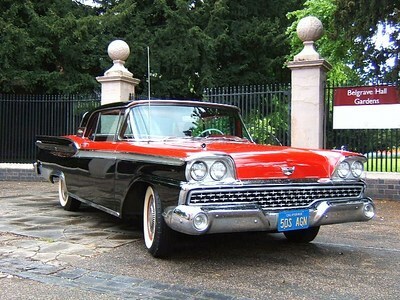 Classic American Cars Beautiful American Cars from a bygone era supplied with experienced chauffeurs for you to enjoy. 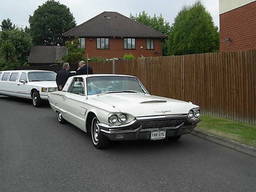 Quality American classic cars from the 1950s and 1960s for weddings special occasions birthdays etc. 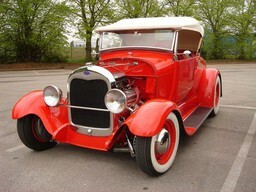 Available for TV commercial advertising and movie work. Specialist Services Silk ribbons featuring the name of bride and groom with the date of the wedding printed in the colour of choice is available at a small additional charge.